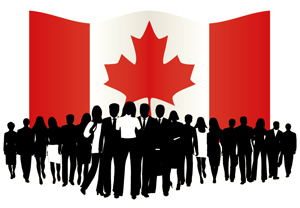 As of 25th June 2014, 401 applications had been accepted for review by Canadian Immigration Committee under the Federal Skilled Worker’s Program. Since it’s announcement in April 2014, FSW Programme has received 401 applications for review. The Canadian government announced that it would have total intake of 25,000 applications under the announced 50 occupation category with an intake cap of 1,000 applications per category. “Computer programmers and interactive media developers” has received the most submissions till date and is leading with 106 applications. This is followed closely by “Financial and investment analysts” with 93 applications. Starting in January 2015, Canada will be transitioning from the current immigration system to the Expression of Interest immigration system. This system would be very much similar to Australia’s skilled select programme where in the applicant has to submit an expression of interest or intent. The Federal government, provinces and employers will all be able to select candidates from this pool of candidates. The invited candidates can only submit their immigration application.